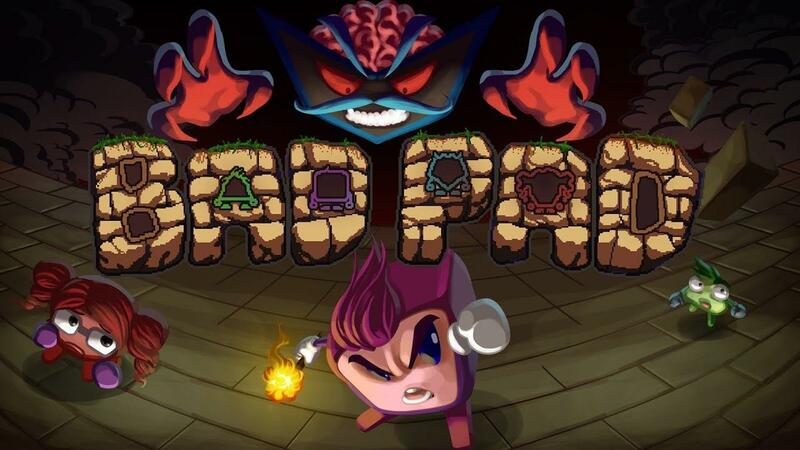 Sometimes games get practically no attention which is such a shame, Bad Pad [Official Site] is one such game that deserves a little more as it's actually pretty good. It just left Early Access last week too, so if you're in the mood for a musical platformer that has a sprinkle of comedy and gore then it's one for you to take a good look at. What's interesting about it isn't just that it pulls in elements from games like Super Meat Boy with both the difficulty, movement style and the gory deaths but also the metroidvania-style gameplay and the (pretty good) music that goes along with it to tell the story. Disclosure: Key provided by the developer through our Steam Curator. Humorous and crazy story-line told in songs and animations, those buttons sure can sing! One item-based inventory system, hey a button doesn't have pockets, deal with it. I found some parts of it ridiculously difficult, especially since some parts of it require you to have a specific item and so on death you might need to do some back-tracking to get the item. The level design can make this pretty tricky, as there's quite a few enemies and obstacles to overcome. The Steam Controller doesn't really work all that well through Steam directly. However, if you use SC Controller it does work as expected. The controls menu also makes little sense for gamepads, with you being able to have multiple buttons doing the same thing which makes rebinding it a little weird. Thanks for the review! Looks interesting. The video narration comes across a bit flat but the game looks fun. I like that the steam reviews tend toward the "tough but fair" rather than just stupid-hard.